The collection of an insurance premium is vulnerable to several risks. 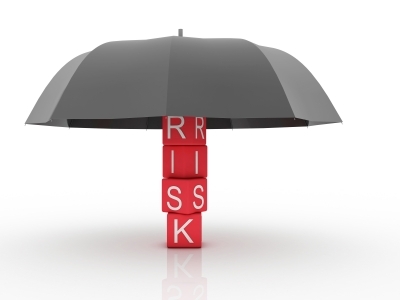 Pricing risk – It is the most volatile and impulsive risk in the insurance industry. The risk occurs when the price charged for the insurance is not sufficient to cover total losses generated by the insurance. Solvency risk – This risk is connected with growth. Numerous enterprises grew significantly in the new economy boom even though they were not profitable. These enterprises grew swiftly in the hope of making adequate revenue once they obtained the market share. While this approach may work wonders for a few of the enterprises, it proves ineffective for many insurance companies. Monetary growth at the cost of profits has been the primary cause of doom for several organizations. Customer-relationship risk – This final risk is associated with collection of insurance premiums. It is the investment income risks which cause classic risk scenarios originating from the capital market and rate of interests; and credit risk is defined as the probability of an insurance venture’s failure to pay its debts. Thus, it is highly essential for insurance program managers to opt for tailored risk solutions so that they can handle such crisis situations with ease. Risk Management Programs for Insurance evaluates an insurance company’s potential to react to unanticipated events. Risk Management for Insurance helps insurance program managers understand their competence to manage risk. Risk Management for Insurance enables insurance program managers to maximize business agility related to strategic uncertainties and risk. Risk Management Programs for Insurance helps tackle adverse situations that may drastically affect an insurance company’s potential to meet its goals and execute its strategies effectively. Risk Management Programs are designed not only to prevent the probability of risk occurrence but it also helps you control the consequences of a risk that an insurance firm may be going through. Besides helping insurance program managers to identify, understand, and managing major risks, the programs on risk management are equally essential to deal with deliverable of claims aggressively. It helps in identifying claim specific risks that is highly essential for the efficacy of the entire risk management program. Auspice, an independent risk management consulting firm headquartered in Philadelphia has outstanding expertise in designing risk management programs for insurance companies. Auspice effectively takes care of price as well as deliverable of claims. The team of industry experts at Auspice are known for offering outstanding customized risk management programs to insurance program managers.